With the holiday approaching, are you looking for a unique gift for the special guy in your life? We've rounded-up some of our top picks for stylish and unusual gifts for men in 2018. Whether it's for a co-worker, friend, boyfriend, dad, son, or brother, there's something for everyone! Celebrity florist and perfumer Eric Buterbaugh's newest release Floral Oud Gardenia opens with a striking balance of earthy saffron and delicate Gardenia. The top fades into a floral bouquet of Tuberose, Jasmine, and Rose, complementing the still blooming Gardenia. Smoked Styrax and Benzoin offer a resinous back, while creamy Sri Lankan Santal Wood brings texture and depth. The perfect gift for fragrance fans, this luxurious Eight & Bob travel set will let him to experience the complete collection of exclusive colognes including: Eight & Bob Original EDP, Cap d’Antibes, and Egypt. It also includes a travel case covered in black leather. Great gift for a new fragrance lover who wants to try a sampling of different fragrances or the frequent traveler who wants to elevate his dopp kit. It's hard to beat Prada for the fashion-loving guy. The limited edition holiday gift set of Prada Carbon Luna Rossa feature the iconic bear seen on Prada accessories. 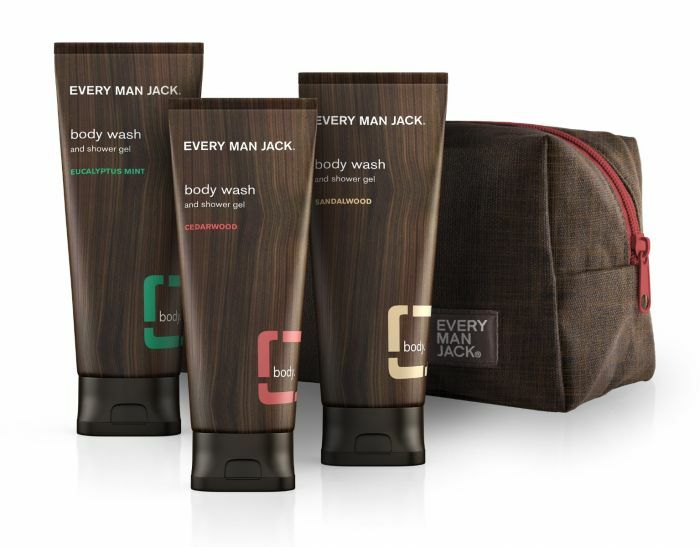 The set also includes a 3.4oz EDT with a bonus of shower gel and a megaspritzer which is perfect for travel. While gifting fragrances can be daunting, this is a fresh and elegant cologne. The top notes are ambroxan and citrus with some sweet nuances, the heart is lavender with earth and florals followed by a peppery dry down. 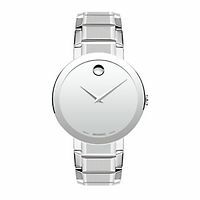 Very masculine and classy, plus it launched in 2017 so there's a good chance he doesn't already have it in his collection. If you're looking for a more traditional fragrance from Prada, L'Homme also has a gift set. Designer John Varvatos and musician Nick Jonas have collaborated on a new fragrance for men – JVxNJ. 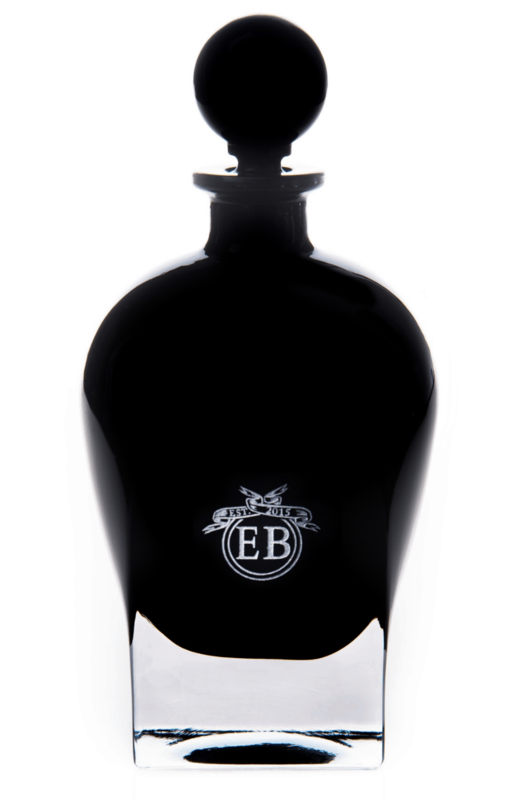 An aromatic cologne meant to capture the energy of the city settling into night, it's masculine with a bit of nostalgia. 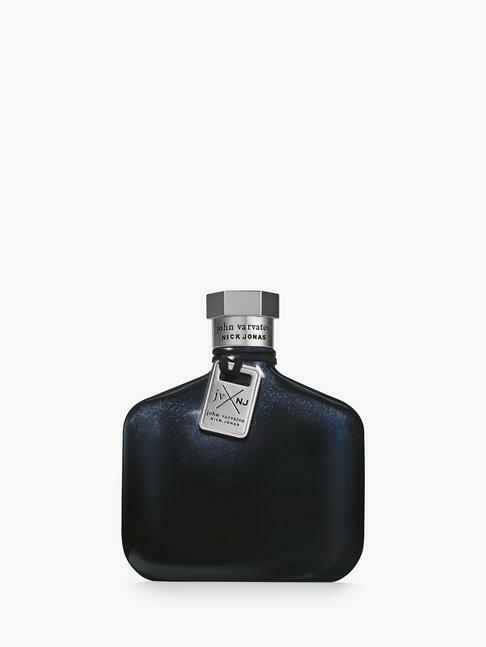 The bottle in dark blue with a pearlized effect reminiscent of classic luxury cars. Features notes of Mandarin, Lavender, Sage, Rosemary and Sandalwood. Plus JVxNJ was released just a few months ago, so it's likely a new addition to even the most dedicated frag head's collection. Black gift set will give him everything he needs for a healthy, smooth, younger-looking skin. The kit includes a travel-size face moisturizer, an energizing scrub, a serum and an eye rescue! Hydration on the go. Biossance's Love to Travel is the perfect clean beauty travel companion—great for guys who are frequent flyers and on-the-go. It starts with Antioxidant Cleansing Oil to leave skin deeply clean and feeling fresh; then follow with Phyto-Retinol Serum to visibly reduce wrinkles and discoloration; and finish with a few drops of Vitamin C Rose Oil to visibly brighten and boost radiance. When you look good, you feel good - and a great look starts with great skin. Our House Essentials kit is designed to take care of his skin from start to finish, from cleansing to moisturizing and treating. Contains the Neat Cut Shaving Cream, Great Look Moisturizer, Purefectly Clean Face Wash, and Polish Up Body & Hair Wash. 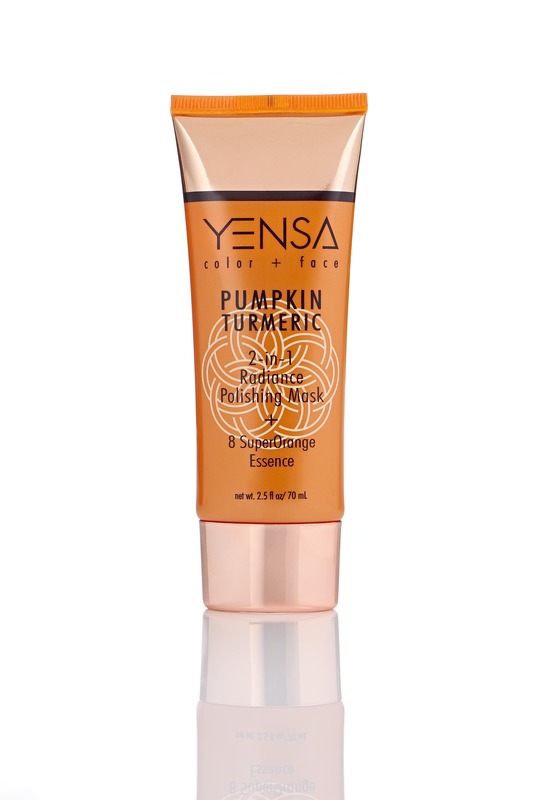 Perfect for the holiday season, Yensa's Pumpkin + Turmeric 2-in-1 Radiance Polishing Mask is a gentle face polish that nourishes, hydrates and exfoliates skin. Designed with pumpkin, turmeric, ginger, rice, fruit fruit and our exclusive honey sugar blend, this formula leaves skin smooth, supple and radiant.The Orange Superfoods Collection works to brighten skin with time-tested skincare for that signature glow. This gift set from Osmia covers the bases, with best-selling Black Clay Facial Soap, earthy and rich Vetiver Grey Soap, and decadent Rosemary Body Mousse (which doubles as a killer beard balm). He can have his luxury skin care products and still feel like the man he is. eucalyptus mint and cedarwood—along with a bonus toiletry bag to take on the road. For $10 a month, BirchboxMan will sent the guy on your list a monthly box full of grooming treats. He'll receive five grooming samples ranging from anti-aging moisturizers to hair styling essentials direct to his door. The subscriptions are available in 3, 6 and 12 months. Read more about BirchboxMan's cold weather favorites. 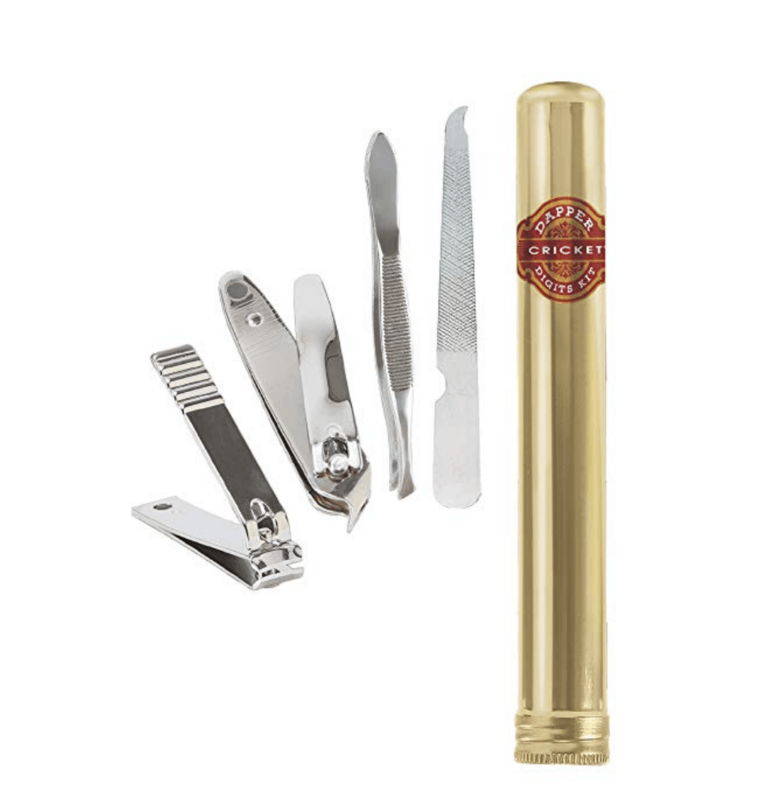 Dapper Digits' cigar-style tin is equipped with the nail necessities to keep his nails in check and put the man in mani! Packed nail clippers, cuticle clippers, a nail file, and angled tweezers into this sleek tin, making it the perfect for grooming on the go. 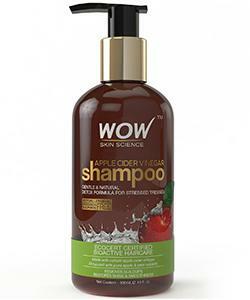 Made from 100% unrefined apple cider vinegar sourced from the Himalayas, Wow Apple Cider Vinegar Shampoo detoxifies his hair and scalp, removing buildup that weighs hair down and makes it look dull and drab. With its antifungal, antibacterial, and antimicrobial compounds, and the plethora of vitamins and minerals found in apple cider vinegar, this shampoo will make his hair look better than ever. Be The Architect’s H2L aims to provide affordable premium personal care products free of harsh and dangerous chemicals. The Baobab Tree, known as the “Tree of Life” due to its vast skin and hair health benefits, serves as the foundation of the entire range of H2L with other key ingredients including Avocado, Sweet Almond, and Chia Seed oils. Great for any man looking to build a more natural grooming routine. combines a double edge razor and a shaving cream made of a rich blend of yerba mate, organic hemp seed oil and bisabolol. The dual-purpose shaving cream helps strengthen hair, promote healthy growth while boosting smoothness and shine. The manual control of the single blade will get him the closest shave possible and the sleek design of the razor is worth showing off on the vanity. The 4-piece full-size kit by Art of Shaving combines high quality products, handcrafted accessories and expert shaving technique. 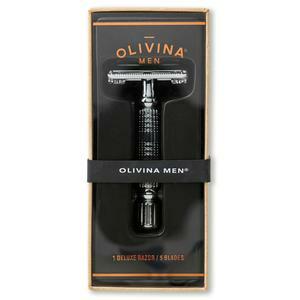 to provide optimal shaving results while helping against ingrown hairs, razor burn, and nicks and cuts. The kit includes Pre-Shave Oil, a Shaving Cream, After-Shave Balm, and a Genuine Badger Shaving Brush— everything he needs for a clean and hydrated shave. Looking to help him elevate his shaving routine by getting him into wet shaving? There is no better introduction to Traditional Wet Shaving than with one of Phoenix Artisan Accoutrements starter kits! 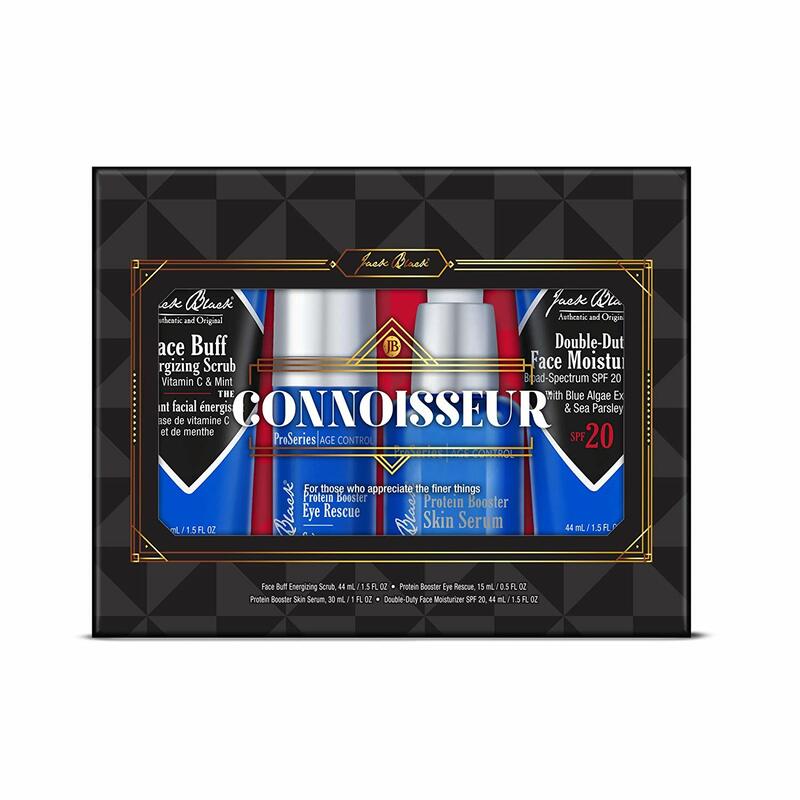 Curated by a wet shaver for wet shavers, this is a traditional wet shaving starter kit with some soul! Sometimes practical gifts are the best. One-size-fits-all isn't Esquire Grooming's typical mantra, but their Five Piece Trimmer is an exception. Perfect for the minimalist who wants one tool to do it. You can quickly interchange any of the five grooming blades for a well-groomed beard, nose, ears, uni-brow, neckline, underarms, back, and any other place hair can grow. 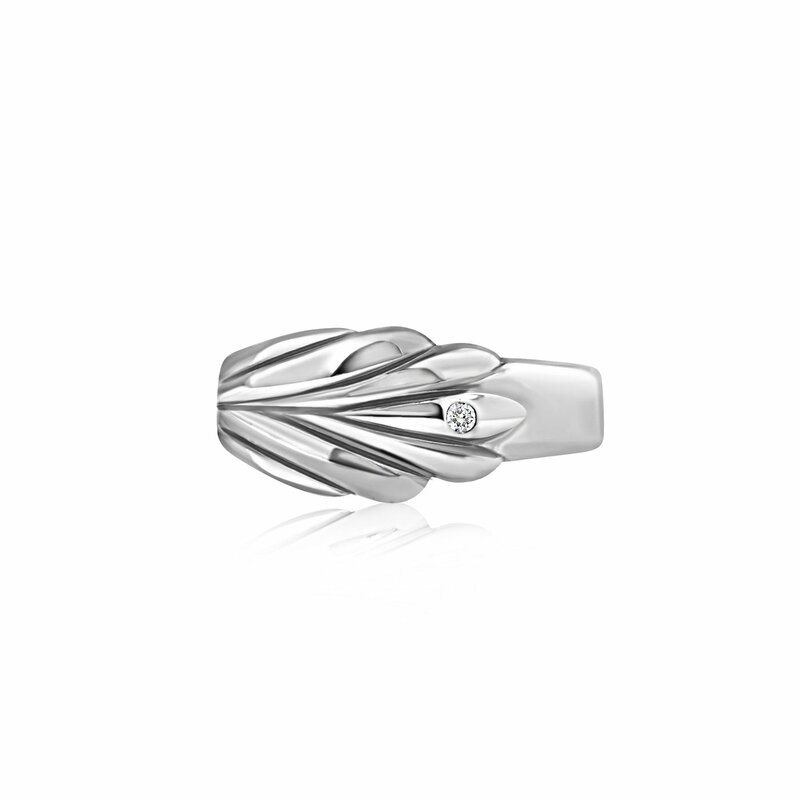 The Hemingway ring by Berlinger is an artful Art-Deco inspired ring. A unique one-of-a-kind gift he'll never take off. Mindfully engineered to catch the eye after everyday wear, they pride themselves on ethically sourced metals and diamonds. The best gifts are both practical and personal. 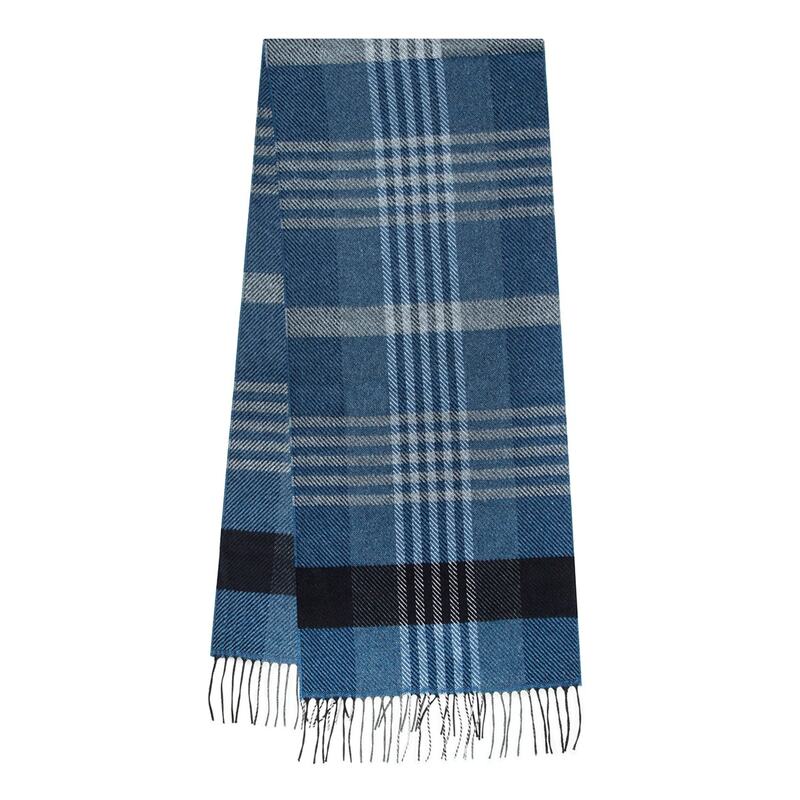 This scarf from Paul Stuart is made of 51% silk and 49% cashmere for an unusually soft and warm, luxurious feel. Made in Italy in blue and navy which will match with compliment most things in his wardrobe. Whether he's hitting the slopes or off to a warmer destination this winter, shades are always a welcome gift. Vint & York has become the go-to brand for cool, versatile shapes that go with any type of outfit and can take him from brunch to a business meeting in a heartbeat. 100% UV 400 protection, light and durable with timeless silhouettes that manage to stay on trend season after season — these sunglasses that make anybody look good and speak tons of style. Their Caper is a sleek aviator in a masculine silhouette that is a welcome addition in any man's wardrobe. Isabelle Graces's men's cuffs are a mix of modern, edgy and classic. Hand forged, distressed and aged in their studio for a truly unique gift for the special man in your life. This piece makes for a truly meaningful, personalized gift with your own special message. The cuff is 5/8 inch wide and made from 85% copper and 15% zinc. One of the best parts of doing our annual gift guide is having an excuse to seek out new artisans who are creating beautiful things in the world. One of my favorites is jewelry maker Maressa Tosto Merwarth of Mari Tome design. Although her work has been featured in publications such as Vogue, she still handcrafts her pieces herself. These cufflinks made from a mix of cork and sterling silver are an excellent example of her modern designs that blend traditional craftsmanship. They're also perfect for the wine-lover. Not sure how to wear cufflinks? She recently wrote a guide to cufflinks. The Westside is a casual California inspired boutique based in New York. With a laid back luxury feel and a curated collection of accessories and menswear. Perfect for the guy who values both style and comfort. 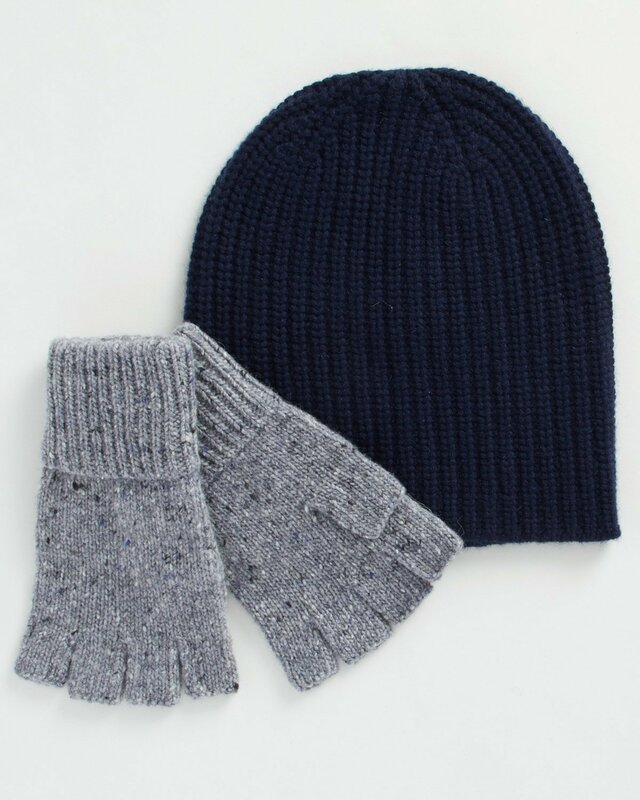 For example, the cashmere beanie & wool Alpaca fingerless gloves from Alex Mill. 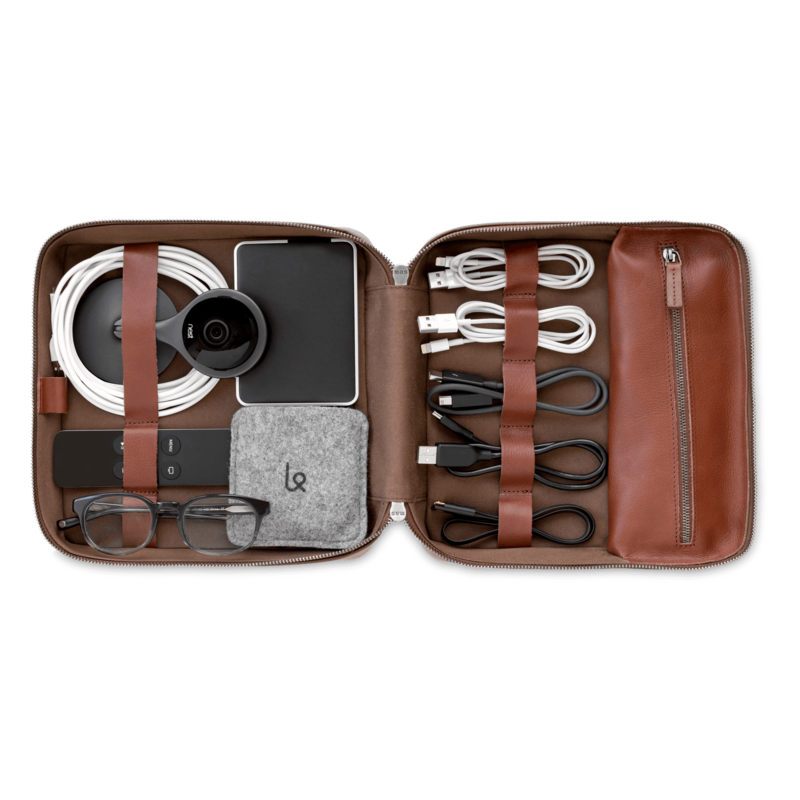 This Is Ground designed a premium leather travel tech zip-up organizer with designated spots for all of his tech/technical gear. Its inspiration is half bento box, half traditional dopp kit and is designed to optimize space, protect his technology, and to look beautiful. Made with only the finest materials, put his mind at ease never to lose a cord or damage expensive gear again! 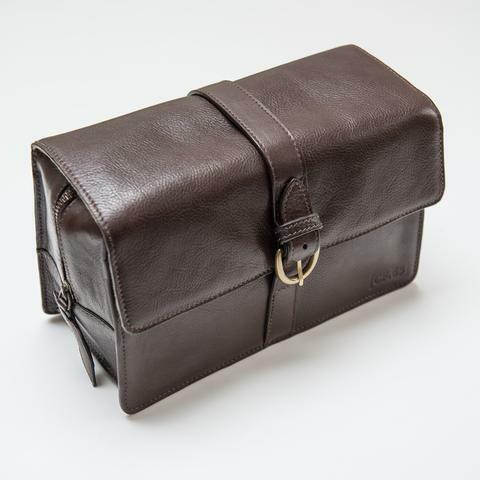 This beautifully crafted, natural full grain vegetable dyed cowhide Leather Wash Bag comes from Captain Fawcett. Large enough to hold all essential grooming paraphernalia, it's a practical travelling companion with a waterproof liner and exterior front pocket that’s ideal for safely secreting small personal items. Totes aren't just for women. A solidly built tote bag is a practical, everyday staple for guys too. 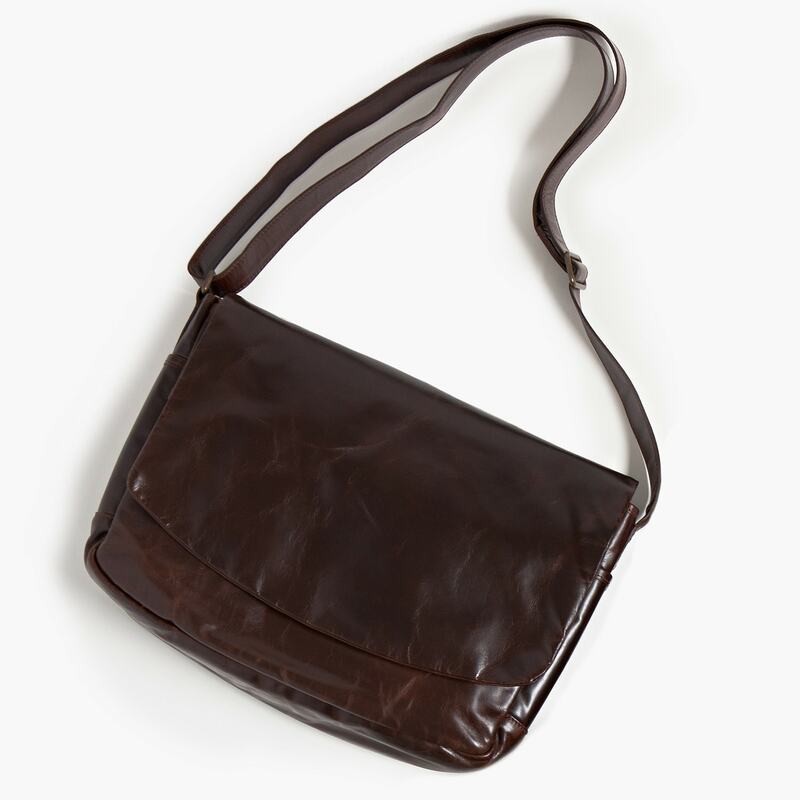 Day, night, travel, errands, a leather tote is a bag with the flexibility for any occasion. This tote from WP Standard features high quality leather, with a solid bottom — sturdy enough to endure the rigors of day-to-carrying and age gracefully as he uses it. Whether he's travelling or just heading to the gym, duffel bags are essential part of life. Handcrafted from recycled sails on the working waterfront in Portland, Maine, Sea Bags Chebeague Island Duffel is conveniently sized to fit all airline carry on requirements. 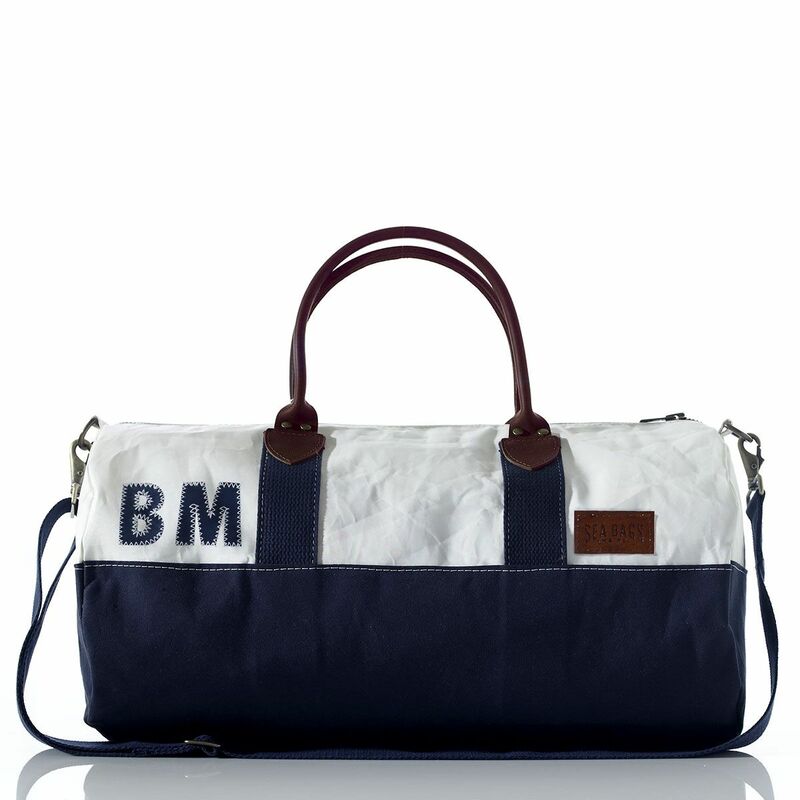 Premium leather handles, a canvas navy bottom and customized with a two letter monogram in navy, make it a perfect gift for the man on the go. Divisadero Commuter Backpack from Acme Made is a sleek, modern bag perfect for going to work, school or play. However despite the minimalist design, it's a hardworking backpack with devices protected in padded pockets including a hidden laptop sleeve that holds laptops up to 15.6". Unisex design and extra comfort plus ventilation with lumbar smugglers pocket. The new weekender bags from the Jetsetter collection by Hook & Albert are designed for guys who "put in the miles, who are bold in their pursuits, and seasoned in their travels." 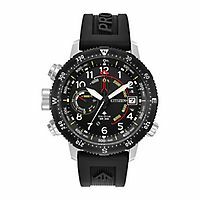 As a frequent flier, I like that it's made from leather and built to last. When unzipped, the garment section can accommodate two suits and once the duffle is zipped back together, the main compartment houses two zip accessory compartments and two shoe pockets, making it perfect for a business trip or weekend away. If you're looking for the perfect cozy gift that he can take work to weekend, this cotton jersey pull over from Billy Reid might be just the thing. He can wear it dressed up or dressed down for an effortlessly stylish look. Including details such as suede elbow patches and a shawl collar, this sweater will be his new go-to wardrobe staple. There's a million cool t-shirt companies out there that make comfy apparel. However what stood out about Sevenly is their commitment to use fashion to raise money for social causes. From women's achievement to environmental causes, they sell designs that support the causes close to his heart. 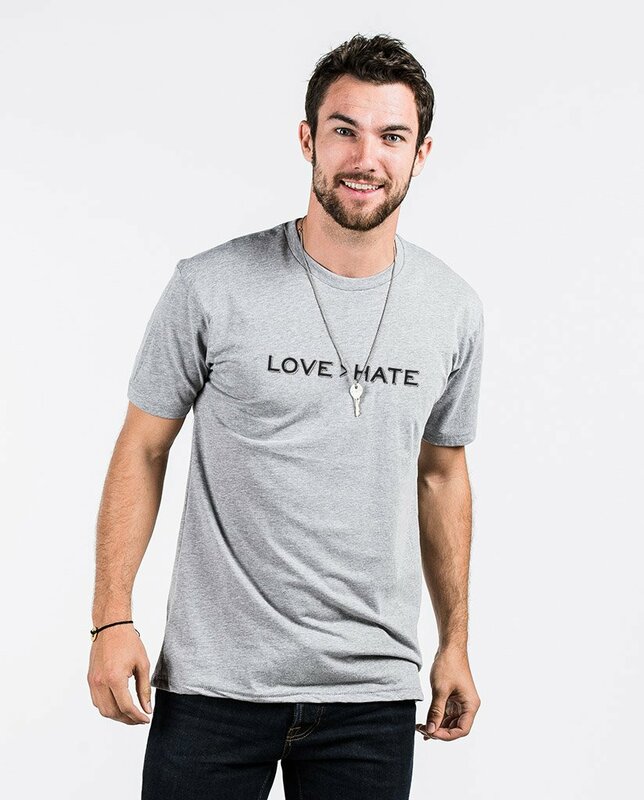 For instance, this Love > Hate shirt whose proceeds go to support The Validation Project which supports students performing social justice projects. Is he jetting off to warmer climates for a winter break this holiday season? 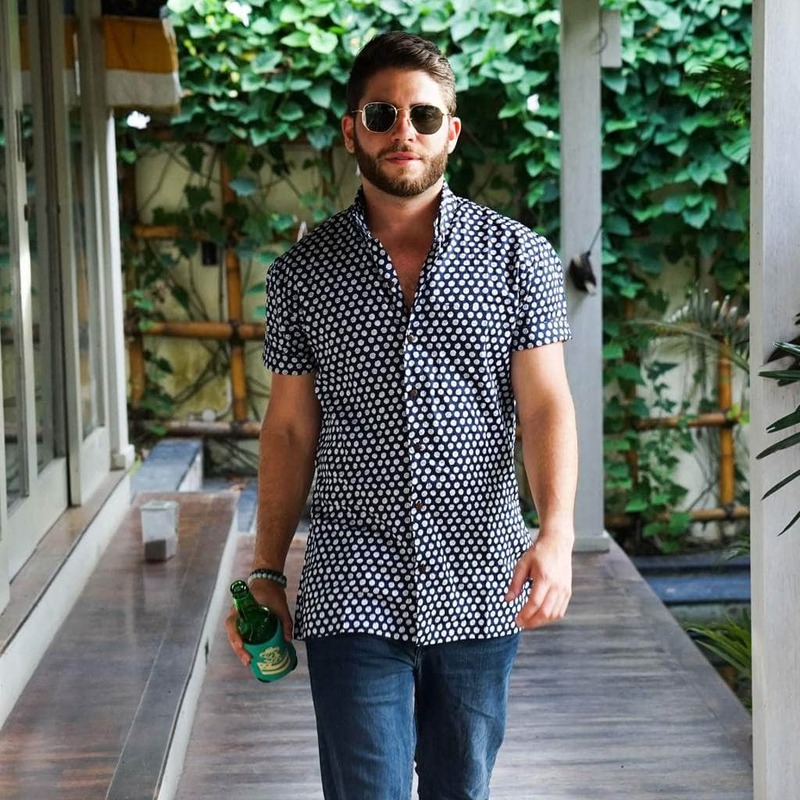 Kenny Flowers is known for their high-end tropical shirts featuring 100% cotton and coco-nuttons (buttons made of coconut). Everything is handmade in Bali and the prints are from international artists. Bathrobes might not be the first thing that comes to mind when you think tailoring, however Rough Linen has created a well-tailored luxury bathrobe. Made of 100% linen, this is a well-designed, modest but not voluminous robe. Even the smallest details have been accounted for such as tapering the cuffs. Plus it has pockets! 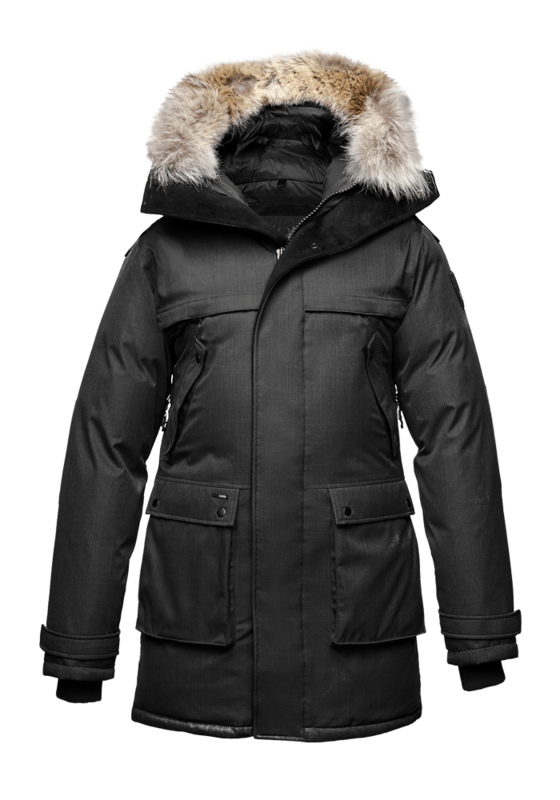 Nobis is a premier Canadian outerwear brand that specializes in integrating sophisticated technology seamlessly into sleek, fashionable styles. Their Yatesy Men's Long Parka features premium Canadian white duck down which is sealed to be both windproof and waterproof. For extra flair, it comes with a removable coyote fur ruff. 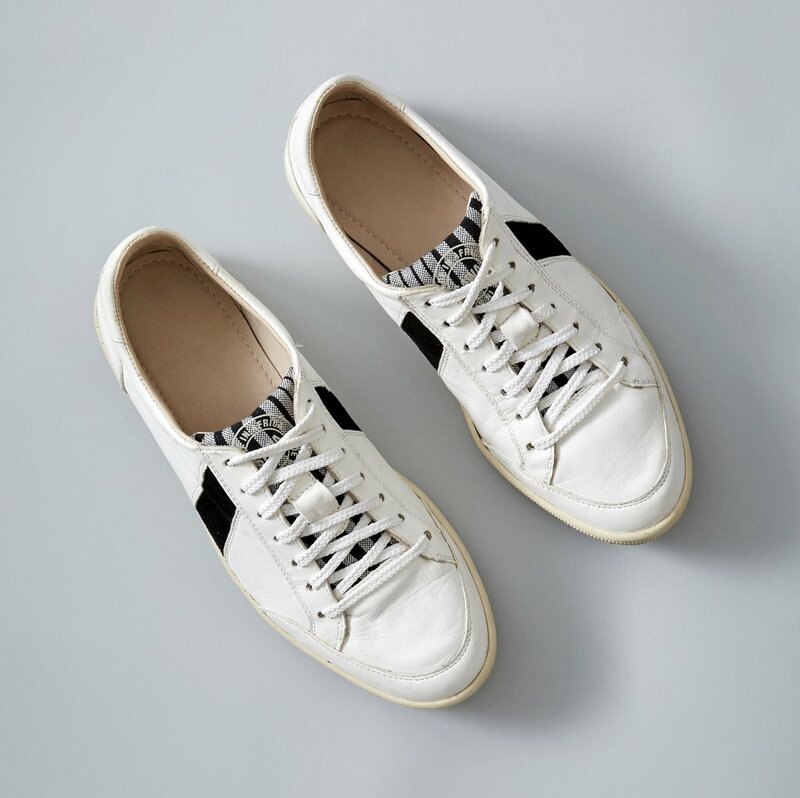 Ace Marks is making hand-crafted shoes an affordable luxury. 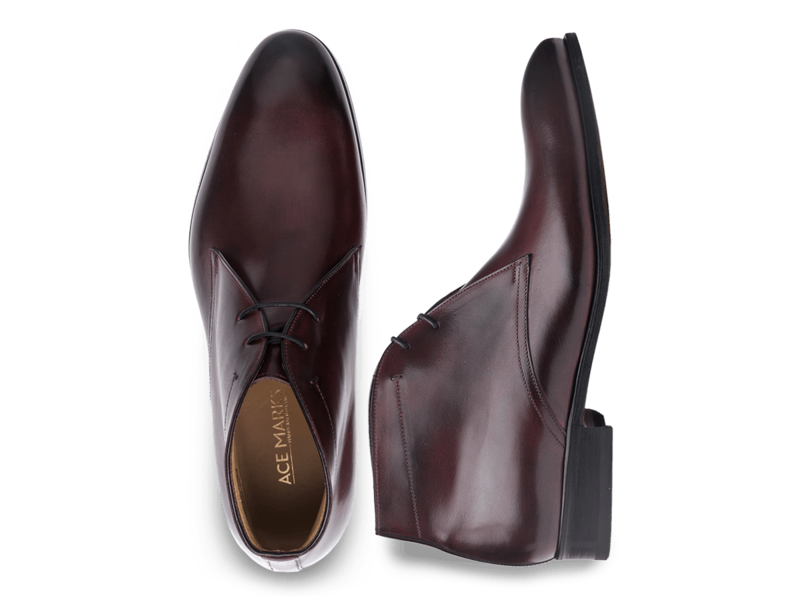 They are a direct-to-consumer brand offering shoes that are hand-crafted, hand-burnished and hand-dyed in Italy. For the true shoe connoisseur they also offer a customized shoe tattoo program. Perfect for the man who wants to elevate his style with classical footwear. Stitch Fix is perfect gift for any guy, whether they love style, can’t stand shopping or need some major style TLC. A gift card gets them their own personal styling service, letting them try on clothes at home and keep what they like, sending back the rest. 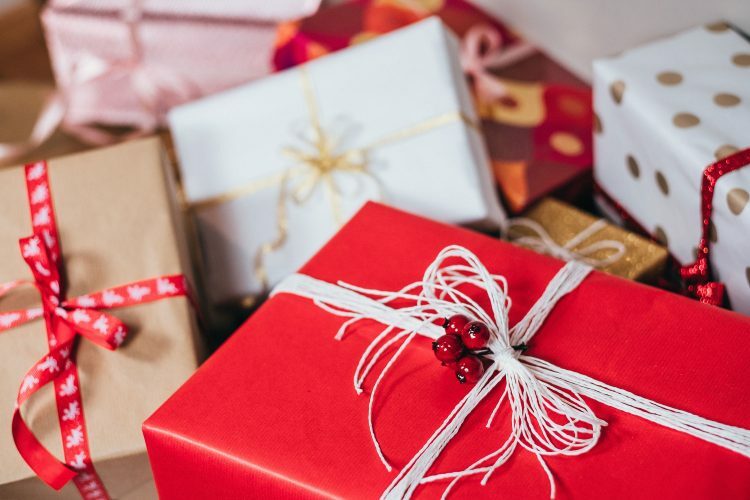 Plus for you, a Stitch Fix gift card takes the guesswork out of the difficult task of giving clothing as a gift — no need to worry about personal style, taste or fit! For the art lover, gift him a gallery quality Giclée print from Swiss artist Gabriel Starobinski. 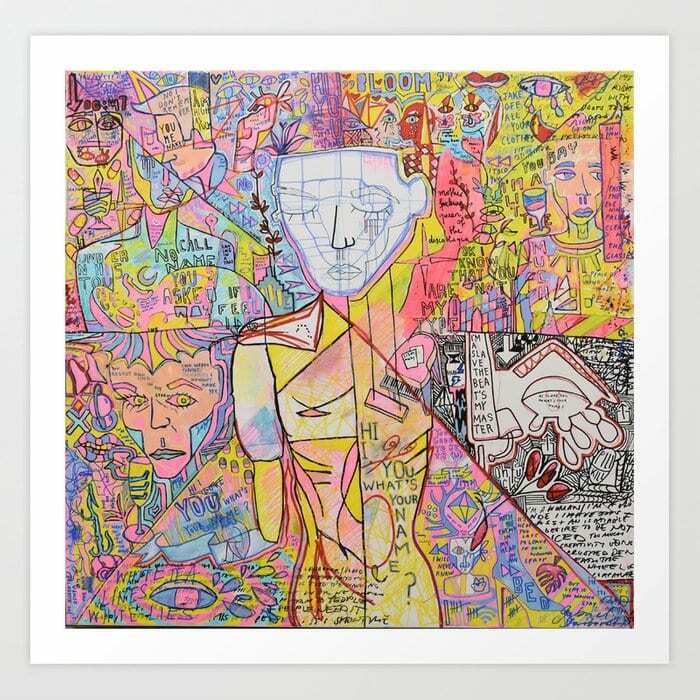 His multi-layered approach incorporates written words from music, pop culture and personal poems with collaged elements. The resulting artwork is an explosive, pastel-colored fantasy world where deep emotions, love and desires are deconstructed and reimagined. As seen in VICE and galleries from Basel to Berlin. Shown Bloom (2017). AREA is a small shop that has been designing beautiful home goods in New York for nearly 30 years. 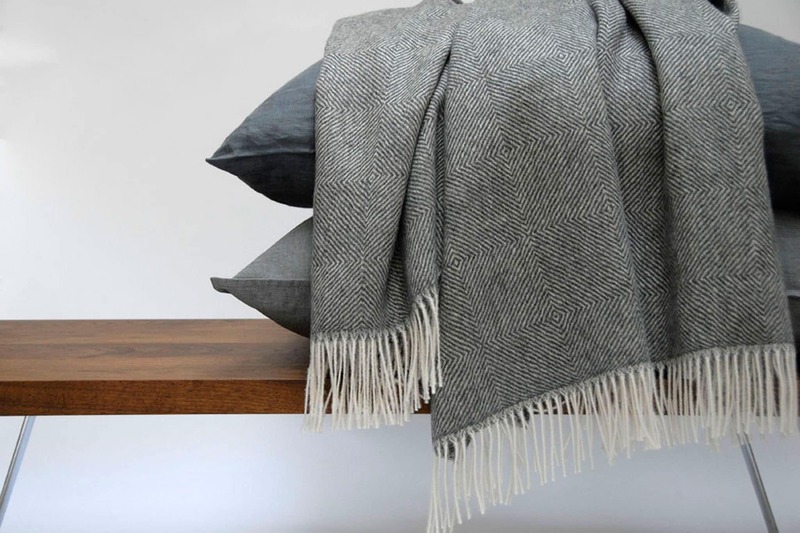 Their Colin Throw is made in Peru made from exceptionally fine, lightweight, durable baby alpaca. The original large-scale diamond pattern is unique. It’s a snug, rich, soft blanket that’s quite thick without feeling heavyweight. The ultimate throw for luxurious napping or winter cuddling. Make the longest nights of the year more cozy with luxury scented candles from Rituals. They have the complexity and nuance closer to perfume than a drug-store candle. They're the perfect gift for guys looking to incorporate more relaxation and mindfulness into their routines. They are composed of 70% natural wax and last up to 50+ hours. They have a range of individual scents from the soft, sweetness of Pomegranate and Watermelon to the dark, exotic scent of Black Oudh so there's something to fit with the man on your list. The Citizenry introduces their latest assortment and global inspiration, the India Collection. 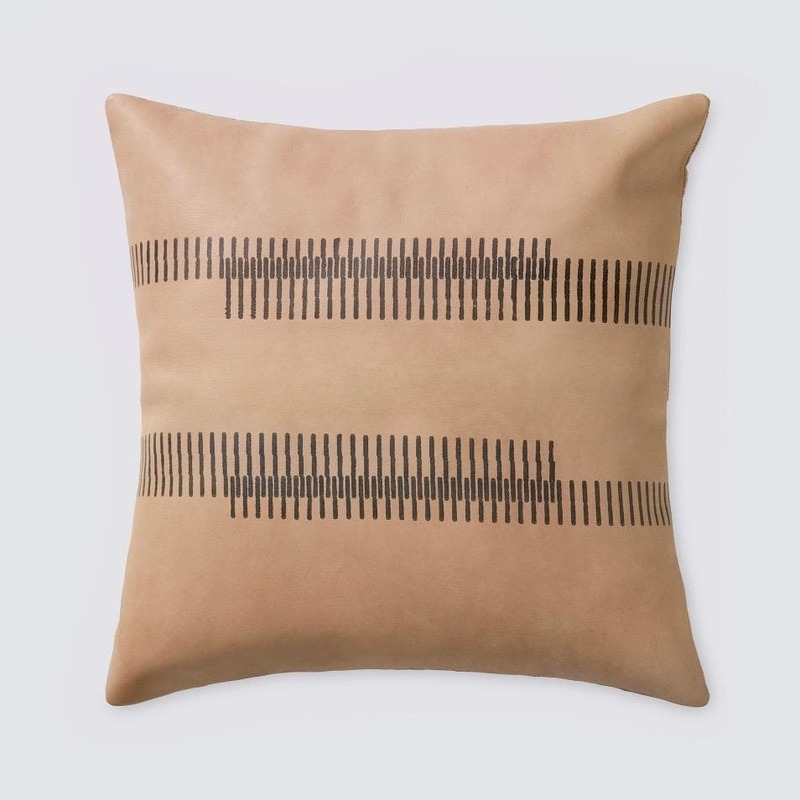 It's a modern take on India’s rich craft culture with block print pillows from Jaipur to cotton dhurrie rugs from Varanasi, They partnered with master artisans across India to highlight the countries rich craft heritage such as this Amer Leather pillow. Culture Carton puts him on the fast track to having great taste. 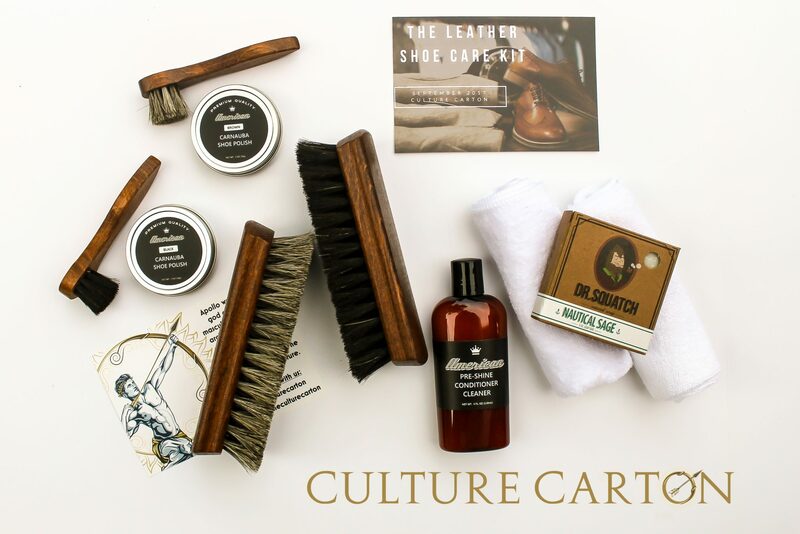 They offer a one of a kind subscription service includes a book that a cultured man would want in his growing library, along with select accessories curated around a monthly theme related to improving varying aspects of one’s self (confidence, sophistication, knowledge, style, edc, grooming, etc). For every guy who has had friends and family over and run out of things to talk about. GTKY (get-to-know-you) Games is a series of 5 conversation starting card games designed to get people chatting. 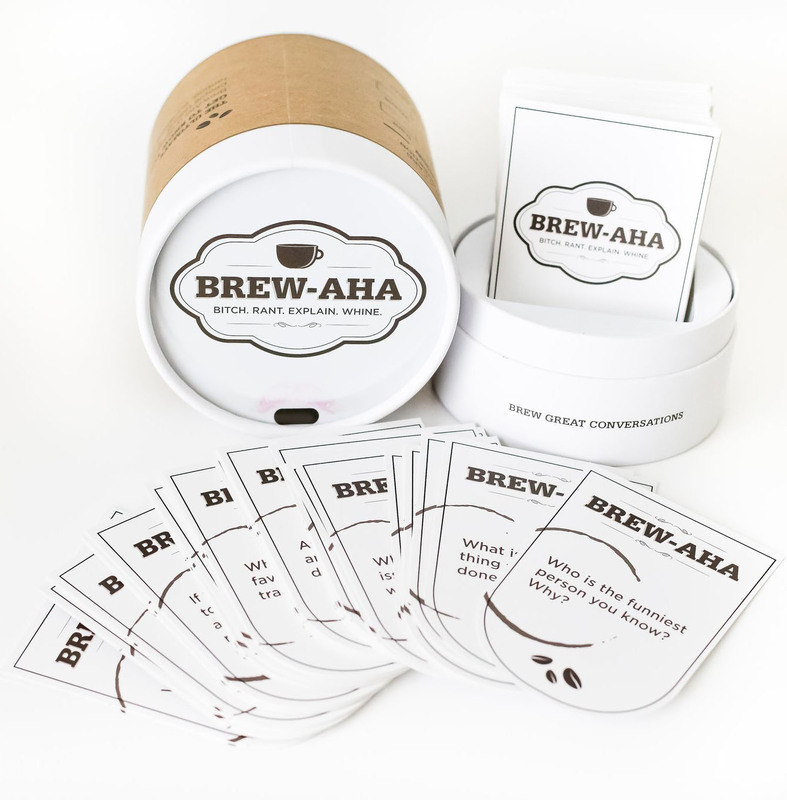 Each game has 150 cards with thought-provoking questions designed to encourage conversational curiosity. 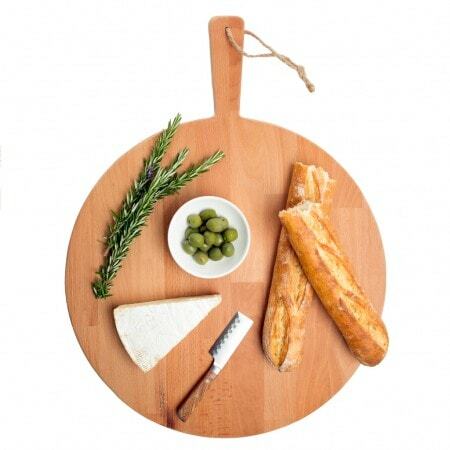 A thoughtful gift for the guy who enjoys entertaining, a modern serve board made from fine European beechwood. Both beautiful and functional, it can be used on both sides and is distinguished by two strips of oak timber to prevent warping of the reclaimed wood. Makes even simple cheese and crackers look like a savory treat. It's rare that guys get excited about glassware. I mean it's just a vessel for beverages, right? So I was pleasantly surprised to discover Dragon Glassware, a boutique luxury glassware company with unique designs such as this Diamond Whiskey tumbler. A conversation starter guaranteed to make whatever you drink in it taste that much better. Tropical, exciting and daring, Moët Nectar champagne in festive holiday packaging is the most exotic expression of Moët's style, reflecting both the diversity and compatibility of Champagne’s three grape varietals. Complete with flavors of exotic pineapple and mango, this wine is a perfect gift for him to enjoy this season. Also pairs well with holiday meals. 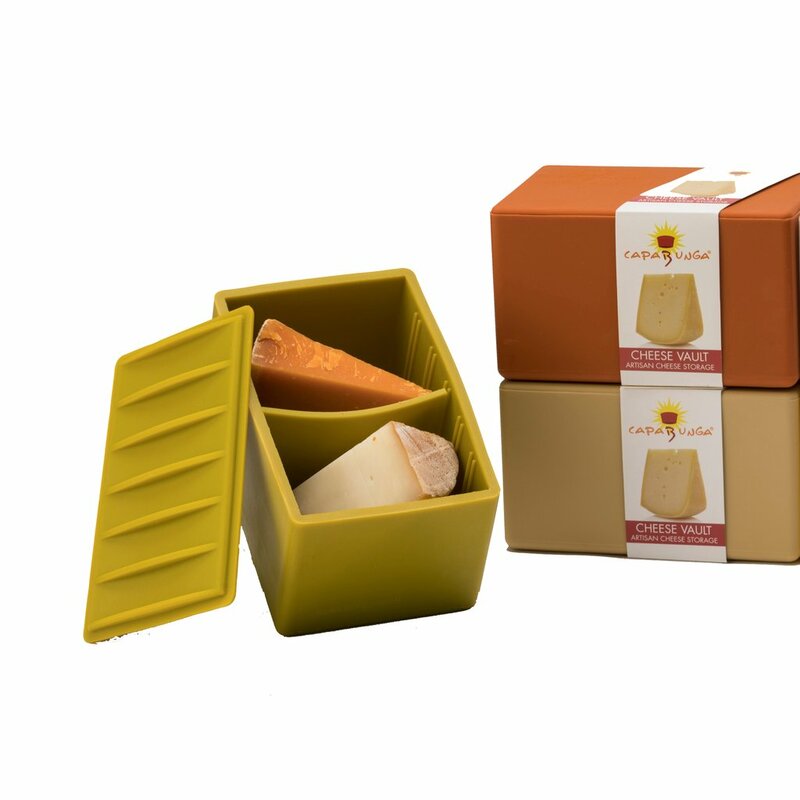 For the gourmet, the Cheese Vault is a simple and reusable way to store artisan cheese. Cheese experts agree that the worst possible way to store your cheese is the way we all do it – by wrapping it in plastic wrap. Cheese needs to “breathe” and eliminate excess moisture to maintain its flavor and delay molding just like in a cheese cave. You might not not be able to give him a cave, but a Cheese Vault is the next best thing. 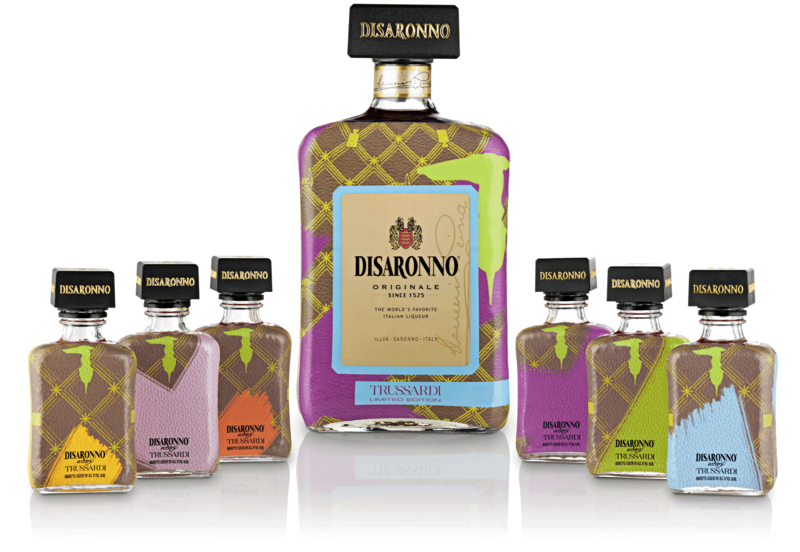 DISARONNO has partnered with Italian fashion house TRUSSARDI to launch a limited-edition bottle dressed in the brand’s notable texture and greyhound logo, for an eye-catching must-have gift for any fashion lover. Get him a spice subscription from Spice Madam. For $20 a month, he will receive a culinary adventure filled with spices, recipes and a Spotify music playlist from a different destination country. 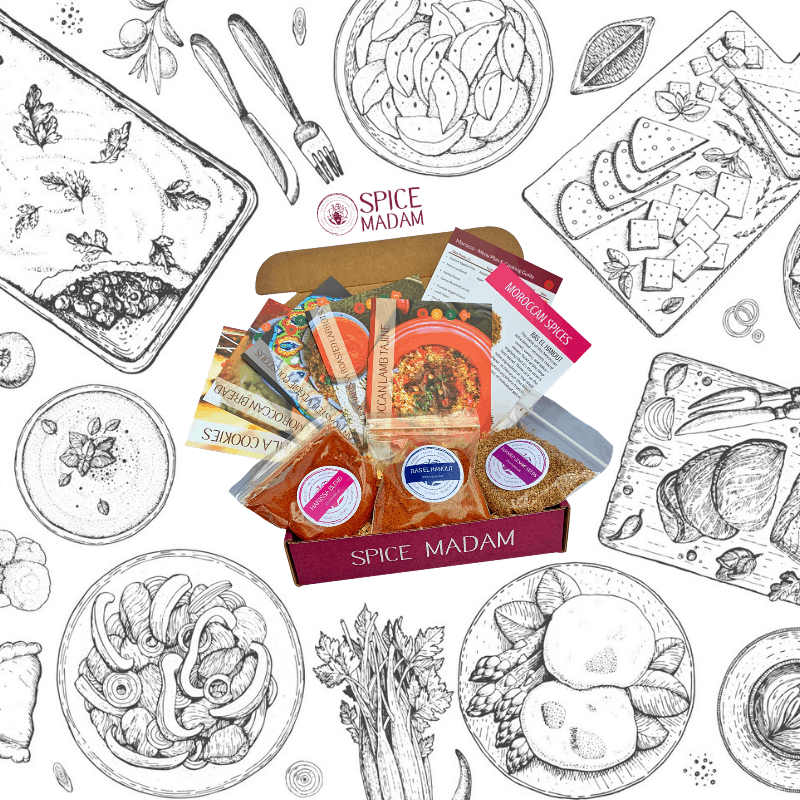 Founder Meghana Moya started this company to bring people together and break down cultural barriers through food. 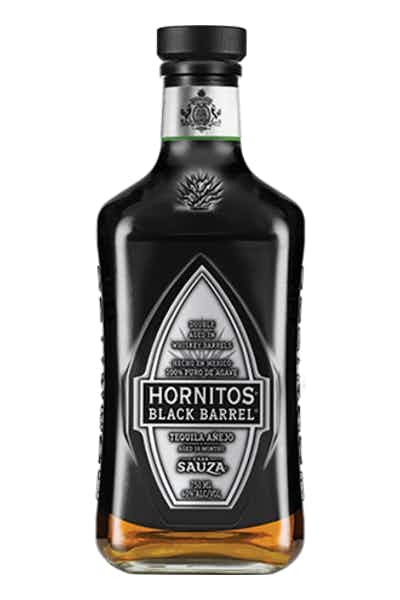 Hornitos Black Barrel Tequila is triple aged in whiskey barrels to create a complex tequila with whiskey characteristics, making it a truly unique drinking experience. Perfect for tequila and whiskey lovers or the guy on your list who is always looking for ways to break tradition. But it's not just different for the sake of being different, it's also highly awarded tequila. The perfect stocking stuffer for the whisky lover in your life. 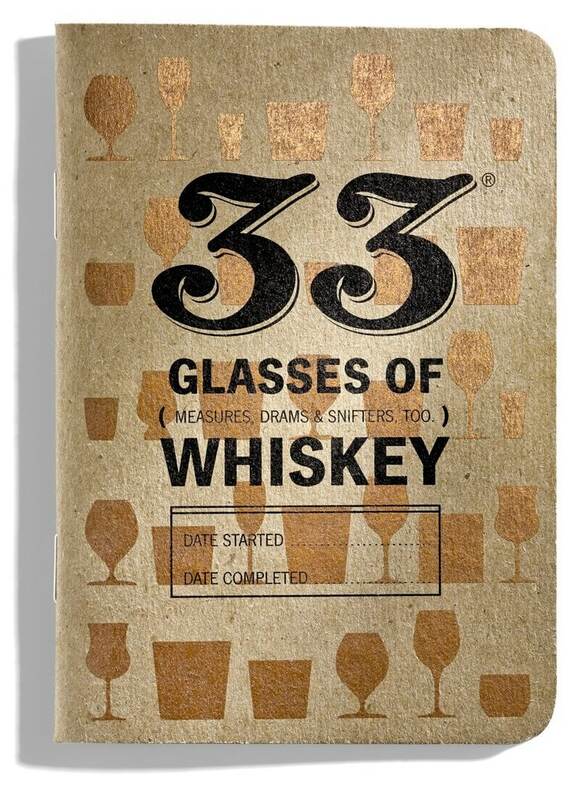 33 Whiskeys is a dedicated journal that provides an easy way to quickly record whiskey tasting notes in a small, convenient notebook format. It's made from 100% recycled papers and a teeny, tiny amount of real whiskey is added to the ink in each new edition, which is cryptically noted on the back. Award-winning Kiva Bars are uniquely complex with flavors of black coffee and dark cherry. With 54% cacao and approximately 100 mg THC in California, the dark chocolate is a treat. Also comes in flavors such as Mint Irish Cream, Tangerine Dark Chocolate, and Vanilla Chai. What better resolution for the New Year than to UNFU*K YOURSELF! Gary John Bishop’s New York Times bestseller reminds us that it isn’t other people or circumstances that are standing in our way in this BS-free self-empowerment guide that provides an honest, tough-love approach to help anyone move past self-imposed limitations. ​The bestselling author ofThe End of Average and his research partner examine the flaws in the “standardized” path to achievement in this groundbreaking book and reveal the five elements of a dark horse mindset, which can guide you to a life of purpose, authenticity, and achievement. Last year’s failures got you down? Comedian and cult hero Chris Gethard shows us how to get over our fear of failure and start living life on our own terms in this funny self-help narrative. Lose Well for anyone who ever felt like they didn’t fit in or couldn’t catch a break. AWired senior editor and virtual reality expert presents Future Presence. A captivating, candid glimpse into the future "realities" of this emerging technology: how we will use it to form previously impossible relationships, explore new frontiers of intimacy, and how it will forever change human connection. ​​​​Marino helps enhance our sense of meaning in the midst of an uncertain world in this useful primer on Existentialism as an animating body of thought, complete with his own gripping anecdotes—sophisticated “philosophy meets psychology” self-help that men will love.